Happy Monday everybody! I don’t know about you but I tend to eat my highly frustrated emotions when I study. Although each day, I pack a substantial lunch for a day’s work at Uni, I somehow end up having chowed down the entire thing before its even remotely considered “lunch time”. 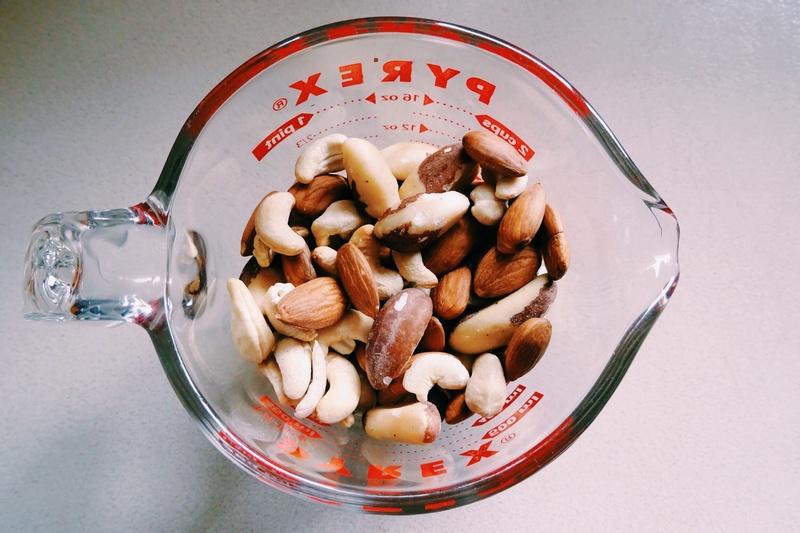 These deliciously wholesome nuts are my no1 go-to study snack. Not only are they highly nutritious, they’re also naturally free from dairy, gluten and refined sugar. Furthermore (sorry, that’s the English major in me) they’re incredibly quick and super easy to prepare (less than 5 min), extremely delicious and hugely addictive (don’t say I didn’t want you!). Once the oil heats up, add the nuts and stir for about 2 minutes. Reduce the heat to low, add the honey and stir for another minute. 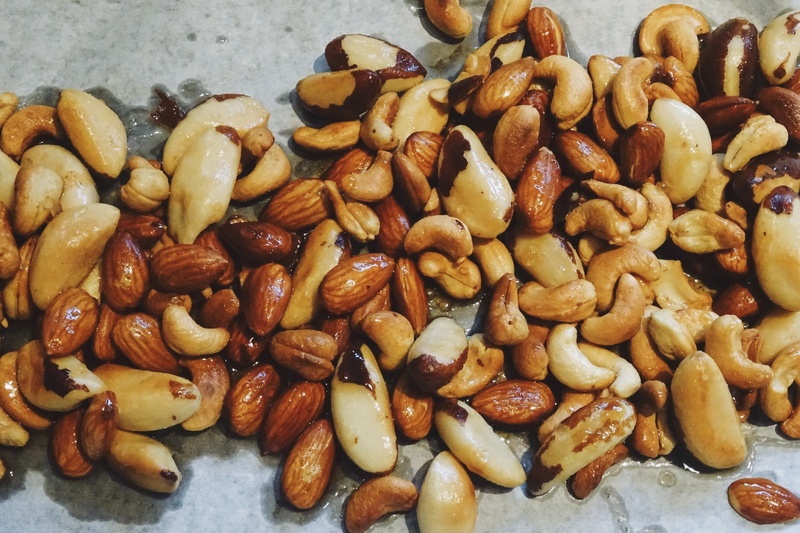 Using a spatula, transfer the nuts onto the prepared baking tray. Leave to cool completely; allowing the syrup to harden.